ESL have provided survey management and construction support services from site handover to completion. The project involves a very complex underground excavation to extend Admiralty station and provide space for the new South Island and Sha Tin Central lines. Excavation has been by drill and blast and rock breaking while maintaining operations at Hong Kong’s busiest MTR station. Survey work comprised excavation using Leica Tunnel Management System (TMS), set out of dilling jumbos, as excavated records and monitoring. 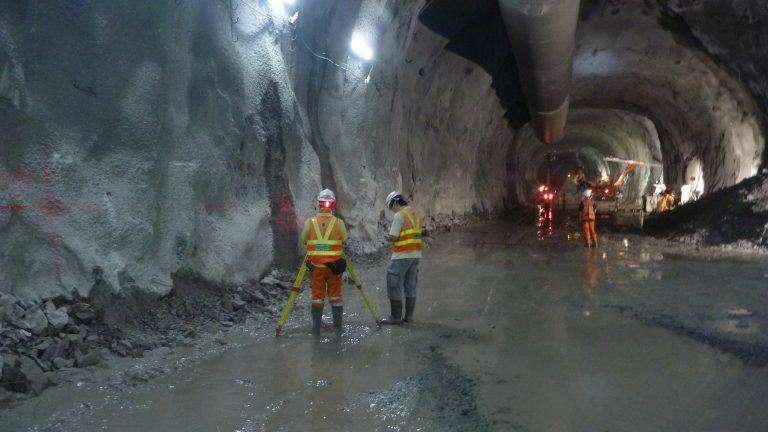 Following excavation and lining the construction of a new station meant that the survey work for this project required a wide range of techniques and methodologies which ESL were able to accommodate.